How Important is Having an Online Presence? How much is online presence helping businesses grow? In today’s world, all businesses, both large and small, need an online presence. The ease with which one can set up a social media profile like Facebook, Twitter, Instagram, Linkedin, Youtube and the fact that this costs nothing, has led to a number of businesses neglecting to commission a professional web designing service to put together a proper website for them. At afterfivebydesign.com we understand that successful websites don’t appear out of anywhere, they are carefully crafted by talented individuals with an eye for design and held together by the work of equally talented coders. The interactive nature of websites means that they require extra care and attention, as well as a particular eye for functionality. We will work with your business to develop an understanding of both your business’s ethos and the individuals that comprise it. A business owner has to understand that a generic website creates an impression of generic people behind it, naturally, this isn’t an effective way of enticing customers in. Instead, your website should, while following many of the general principles of good website design, be an entirely individual project; it should convey what it is about your business that makes it unique and special. Every business is unique in its own way and we are experts at unearthing these things, even when business managers don’t realise that they are there. Simply having a website or a few social media accounts isn’t enough to remain competitive in today’s world. You don’t just need a website that is well designed, one that incorporates both form and function seamlessly, you need a website that will be seen. To get an ROI from your website, pairing you with the right tools and people to analyze your website’s performance and work out how to drive up traffic and business is key. More people than ever now have access to the internet through mobile devices. 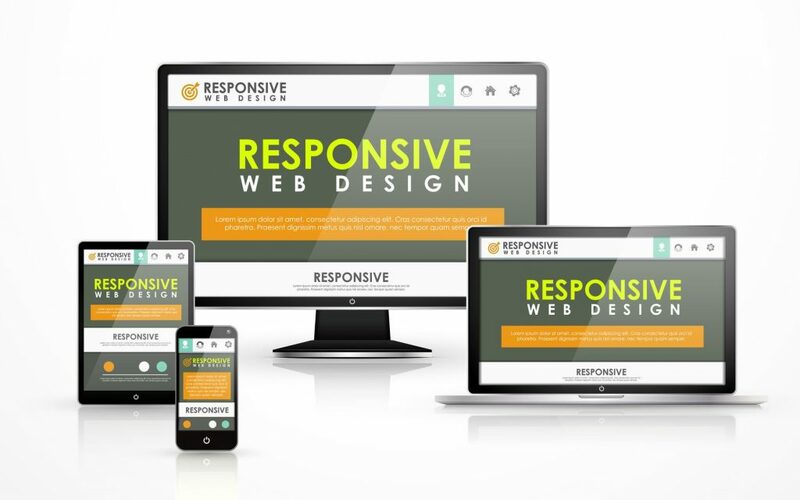 Because there is now a multitude of mobile devices, each with different hardware and software combinations accessing websites, and different sizes, a truly modern website needs to be able to display properly at any resolution and on any screen size. This is particularly important due to the fact that many customers use a business website to evaluate their professionalism before approaching them with any business. Did you know that 61% of mobile users call after a local business search? What will happen if you are not present online, or if your website cannot be accessed properly via a mobile device? Very simple, people will call one of your competitors. Because the performance of your website will have an effect on its efficiency at driving up business, it is crucial that the underlying hosting infrastructure is the best it can be. We pride ourselves on offering a fast and reliable hosting service to ensure that the website we design for you doesn’t just look great, it also performs well and loads quickly. Designing a website to account for mobile devices is far more important now than it used to be. The standard practice used to be to design a desktop and a mobile version of your website and load the appropriate version depending on the device being used to access the site. Now, however, we can design a single website that is able to intelligently rearrange itself and resize any elements on the page to ensure that it remains easy to browse on any device. Similarly, your website will need to work well on a touchscreen interface as this is increasingly the way in which visitors will interact with it. We have experienced web designers and coders on staff who are able to fulfill both of these objectives and more. Search engine optimisation (SEO) is another fundamental feature of the contemporary internet landscape. Essentially, SEO refers to a number of different techniques which are used in order to make a website appear more prominently (in other words nearer to the top) of search results. 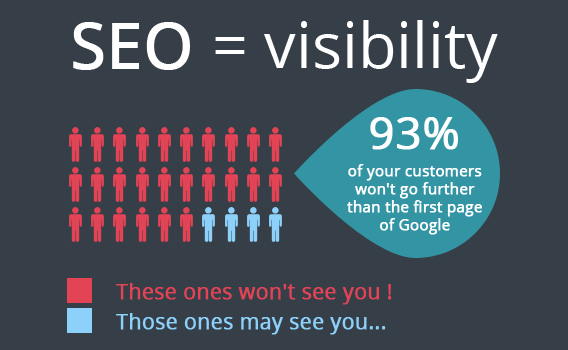 Without investing in SEO, businesses are putting themselves at a disadvantage versus their biggest competitors. We can help you with both keyword research; establishing which keywords you need to prioritize in order to generate the most traffic, as well as with buyer intent keywords – the keywords that the visitors who will become customers use to find your site in the first place. Search engine optimisation is a long-term investment and it usually takes around 6-12 months to start seeing a return on the initial investment but it is more than worth it. Good SEO practices also increase your brand’s credibility. Consider a website that, while appearing prominently in web searches, is devoid of content and contains poorly written text. Would you give such a company your business? Of course not! We are well versed in the white-hat SEO techniques that will maximise your position among search results while maintaining the professional look and attitude of your website. People were always inclined to believe that those businesses and brands on page one of Google are businesses with top quality products or service and best reputation. So being visible on page one will not only help you sell more but improve the overall value of your brand. When you look at how much money you need to spend over and over again, to get the amount of traffic you would get from organic traffic, it’s definitely worth investing money in SEO. 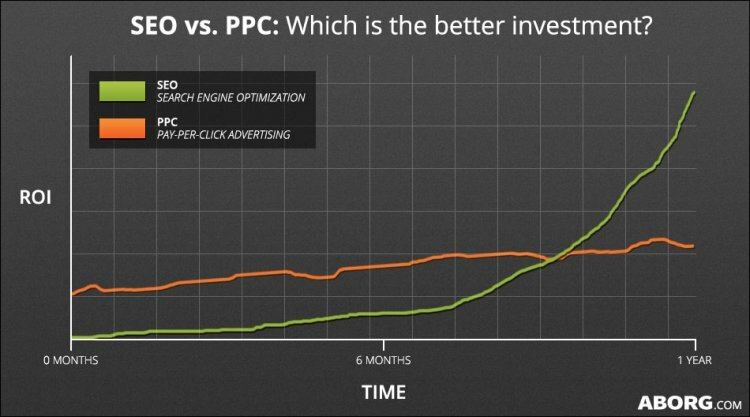 PPC can be a black hole because you will be paying as much as $100 dollars a click in certain niches. With SEO, you will be building an asset because once you start ranking on page one, you will be literally shocked at how powerful google is when you get visible and start getting this organic free traffic. Colour schemes – What color schemes are your competitors using? Call to action buttons – Are the call to action buttons above the fold and are they visible? Sales Funnel – Do you have an upsell/downsell offer at your backend? Customer reviews – Do you have rich snippets for reviews on your site? Email marketing – Are you capturing leads, and engaging in email marketing? E-commerce websites need to really shine and to demonstrate to customers the value of your business, a value that extends beyond the financial and hits at the heart of what it is that makes your business special. Remember that reviews are very important to increase your sales and convert visitors into regular customers. Sales are very much driven by what their peers are saying online about a particular product or service. So it is very important you follow up with ALL your customers to encourage them to leave a review, be it on Google my business, Facebook, your own website, your Amazon store and wherever you have your online presence. By using Search Engine Optimization to increase the number of visitors to your site and ensuring that they are presented with a professional looking design and simple to use interface, we can help you to maximise your conversion rate. Your conversion rate is the number of visitors who come to your site and end up buying something. With even the most successful online businesses, there will always be visitors that won’t spend money, not on every visit anyway. The factors involved in a person’s decision as to where to spend their money are numerous and complex but they are understandable as mentioned earlier. For e-commerce websites, a very big part of this will come down to the website itself and the impression it leaves on any visitors. We will work with you to ensure that your conversion rate optimisation is absolutely top-notch. At afterfivebydesign.com we put our customers at the heart of everything we do. Every client we take on represents an entirely new challenge and therefore we will devise a completely individual and unique plan that is tailored to your aims and circumstances. Looking for a Content Management System (CMS) ? We offer professionally developed sites and give you the tools to manage all content yourself from a simple browser interface. Thanks for making all those special changes for us and getting back to us while you were out of the office. True customer service right there!! Thanks for always being at our beck and call!! "Once again you came through and really provided more of a comfort level with all that we can do with our site. This is such a work in progress. You have always been there for me and all of the changes I thought I wanted. I can't thank you enough for hanging in there with me. I have no regrets because I have learned some things that give me more clarity with the web work and how it can work better for us because of you.Thank you for staying with me, you are the best." You obviously have the website touch!!!! Thank you so much!!!! If you ever need a referral for business, we’ll gladly give you a glowing one! You are always extremely prompt and professional and pleasant and the list goes on and on!! Copyright © 2018 AfterFive by Design All rights reserved.